Dogs will be dogs, and most dogs will bark, whine and howl at times – it’s only natural but it is really an irritating thing when your dog doesn’t ceases barking whenever there is someone waiting at your doorstep. If you have a disobedient dog that causes you stress or embarrassment. The longer you wait, the harder it gets to curb the behavior. It is a good idea to teach your dog .There are a number of ways of making him to quit barking unnecessarily, Here are some method which are easy to follow. Seek your friends help to train your dog. Ask your friend to ring bell again and again until his face is familiar so that the dog stops barking. But keep it in mind he is not a real visitor so this method could lead to unsuccessful results. If your dog lives in the back yard most of the time, he probably needs “social exercise.” he needs walks around the neighborhood, so he can investigate all the sounds and smells that tantalize her while he is in the yard. Bring him into the house when you are home. He needs to feel that he is part of your family. This is a way of training a dog by showing your love it means shouting, harsh words, high pitched voice tones are completely forbidden during the course of this training session. Maintain your patience thought the training period. Train your dog to Speak and Be Quiet. 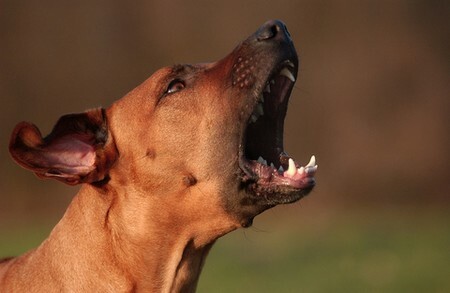 With dedication and consistency, you can teach your dog to bark on command and to be quiet. Use a command such as NO BARK or ENOUGH and reinforce it with praise as soon as the dog quiets down. Use a firm but not yelling voice and again, yelling can sound like barking and make the situation worse as you are barking as well! Show the dog that you really like it when he is quiet. As soon as the dog stops barking, you need to reinforce the stopping of barking with a treat and praise. No puppy is born knowing command. You have to teach that each command has an action and if that action is done, good things will follow. Positive motivation is a great training technique! Be careful not to inadvertently praise behaviors you do not want. Cuddling and stroking a barking dog can give the dog the impression you like what it is doing. Dogs are like children they are now to be punished instead shower them love they will obey your commands.